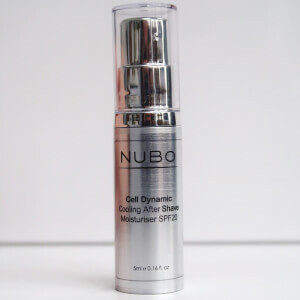 A deliciously flavoured anti-ageing lip balm, NuBo Instant Lip Perfection SPF15 hydrates, plumps and protects your lips in a collagen-boosting, anti-ageing, multi-purpose gloss treatment that merges skincare and make up. A lip formula that gives the appearance of fuller lips with a visibly clearer outline and a hint of soft-focus, glossy colour, NuBo Instant Lip Perfection SPF15 replenishes dry lips for deep hydration and comfort. Containing collagen boosters and natural capsicum for a ‘bee-stung’ pout, the next generation UVA and UVB sunscreens protect from photo-ageing. This multi-purpose gloss isn't just a great make-up product. The formula plumps, hydrates and protects the lips from the sun's damaging rays, so shiny, fuller-looking lips and a younger-looking pout can be yours all in one easy-to-use product. The neutral shade is ideal for day or night, meaning your lips need never be anything but perfect again. Apply as and when the perfect pout is needed. Can be applied on top of lip colour.